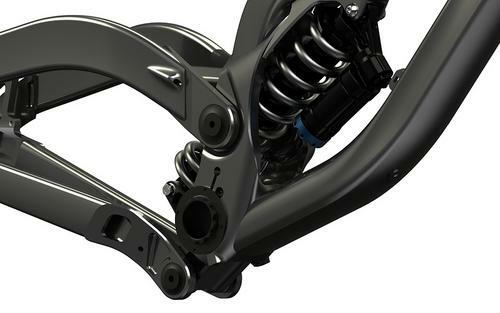 Discussion in 'Downhill & Freeride' started by roel_koel, Jun 30, 2010.
moving away from their FSR style suspension, to something brand new, designed in close development with a certain "Mr. D. Weagle" and Devinci's in-house engineers! Split pivot? Also that explains the prices on the 2010 wilsons on ebay. Split Pivot's been a LONG time coming but sure seems like it's here in a big way... can't wait to see who else will be using it. Bam, we have a winner. I was thinking that but I thought it would be a bit rude to post, so thanks, you did it for me. I agree, but still a rad bike. This is going to be a very interesting year, IMO. Honestly, I'm glad DW quit the e13, I think we can expect more news from him. Curious how they designed the BB-pivot. It's not a Split Pivot, It',s a weird Virtual Pivot. Edit: Wait, I'm Wrong.... It's a Split Pivot XDDD. Like a Sunn Radikal, with the Rocker arm Concentric to the BB and a Split Pivot in the Rear. I'm guessing the AM bike is SplitPivot, too. Right ? Needs the pivot moved up and a hub gear slapped in the middle then we're talking! Looks great. Would be dope as hell if they sold them in that color too. Nice CAD (or whatever) drawings, but what about real thing? looks good, I wonder what the use to render those images, on the other hand, is this going to take as long as the DW DHR is taking? 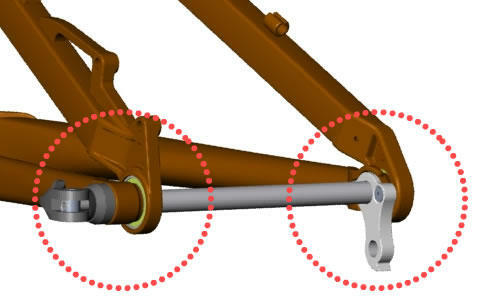 So, are you going to use SplitPivot on all of your suspension models? Wonder if this will be sold in the US or was this a move to get the Split Pivot out to market outside of US soil to avoid possible Trek ABP issues? 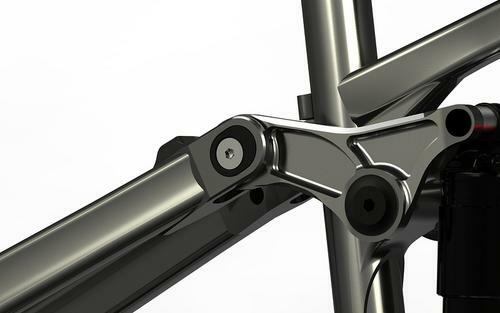 Honestly curious since who would have thunk that how many years down the road dw version of the split pivot/abp/whatever you want to call it single pivot would end up being implemented on a frame manufacturer that's Canadian and on the smaller side. 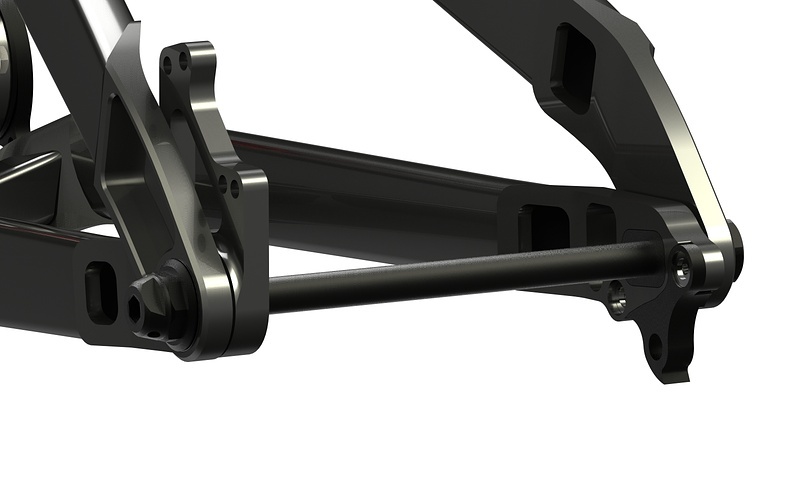 Or just a floating brake arm that's a structural member. Odd that the split-pivot website is dead. This frame looks pretty good so far...I love active braking, that's one of the biggest letdowns of the revolt for me...besides quality issues that I haven't kept up to date with... Will be interesting to see how that pivot lines up with a chainring...whether it'll be higher or at height. Anyways, looks like a really complete package if it actually sees the light of day. we still don't know the results of the lawsuit/agreement between ABP and SP. Supposedly they were developed independently at the same time...will be interesting to see the results. Sick! Looking forward to this bike... even better, Divinci is local! Looking really nice and a good company to stand behind it too. I think Vrock nailed it. This is the first Split Pivot I have seen (concept or otherwise) with a high pivot. actually, http://www.split-pivot.com/ is back up...with a patent? Hmmm, looking at it more closely, the pivot really isn't that much higher above the BB than others, it just initially appears that way because the of the pivot/link sitting below the BB. lots of fancy suspension mumbo jumbo talk going on in the DH forum this morning. 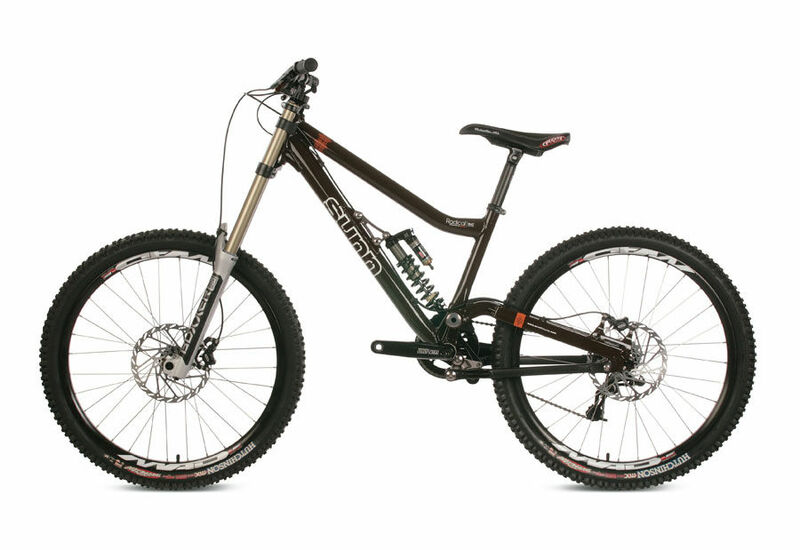 Too confusing for me, I'm gonna go get some coffee and come back when we are discussing 29lb DH bikes, rootbeer, and moar shimz. I posted that before I checked. I had taken a look at the site a few weeks ago and it was down..
As far as I remember latest DW's words regarding the SplitPivot vs. ABS, he sounded very confident about the SplitPivot future. And I can't remember reading about ABP being patented. Even if both were in patent pending stage, DW may have things set more safely, he has lots of experience with patent business . wonder if devinci will have the same flex as before and the same denting issues!! Got to check this thing out a bit yesterday in person and it is looking good! Has been in development for some time now apparently and Devinci is doing things right, should be an exciting new offering. Seems like there is going to be a slew of awesome new bikes next year (from many manufacturers). Anybody notice the length of the shock?